Summer is almost here! It’s the best time to run WILD in the woods, and be part of the most spectacular silly summer parade! Swampy’s Silly Summer Parade will begin at 2pm at the Storytelling Stage! Meet there to be part of the action, or keep an eye out for Mildred as she makes her swishy way through the woods! But that’s not all, the Grubbles have set up camp in Den Building with a series of soopa fun mini games! 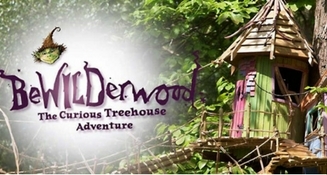 Coupled with the Trophy Trail, designed to challenge even the most seasoned BeWILDerwood friend, there are lots of fun and frolics to discover in the woods this summer! Make sure you visit the incloosive activities held in the Big Hat and Face Painting Pavilion – with a Curious Crown and Sparkly Scales Mildred is sure to shout yoohoo to you from the Scaaary Lake! We can’t wait to see you this summer for a boggle brilliant day out! 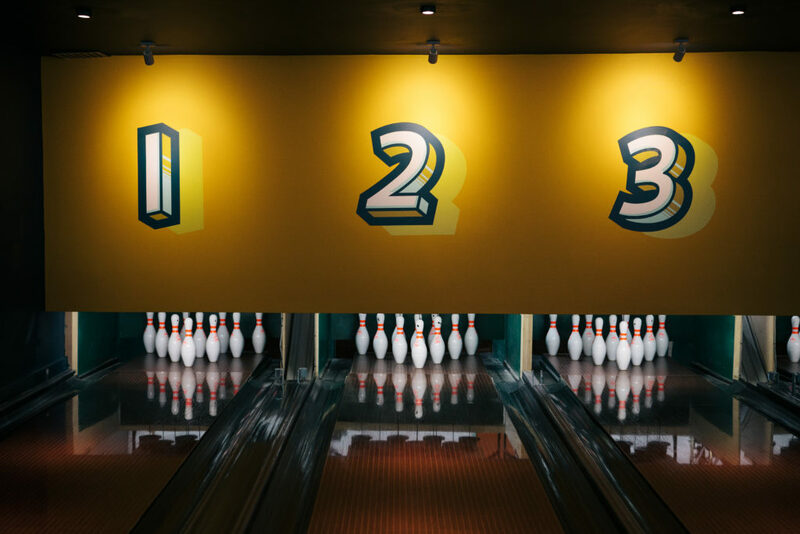 Forget what you thought you knew about bowling, Bowling House offers something new with five intimate lanes, contemporary décor and scrumptious food. With bowling starting from £5, kids summer passes (unlimited bowling) at £19:95 it’s the perfect place for families to spend an afternoon. Call 01603 397 412, visit the website. Sessions available throughout the summer (apart from 23rd July, 6th August and 13th August). CrossFit GAIN Kids is a fitness class for children aged between 2 & 16 and combines cardio, gymnastics and body weight movements with some weight lifting elements for older children. The classes are designed to be fun for kids of all ages and enable our children to grow up healthy and strong. CrossFit Kids is not simply a scaled down version of CrossFit, it is CrossFit geared and designed for children. CrossFit GAIN Kids deliver a fitness that is designed to be broad, general, inclusive and most importantly fun! Healthy living requires that our children push, pull, run, throw, climb, lift and jump effectively and safely regardless of whether or not they play sport, We take those key lifestyle movements and incorporate them into the classes in a fun way so that children want to do it….they want to keep fit and active. Dotty Pottery is a paint your own ceramic studio based at Hellesdon Barns. You can pop in and create unique gifts and keepsakes with us; babies hand and footprints, teacher’s gifts, wedding gifts, Christening gifts, or book your hen party, work/group event, antenatal group or even hold your children’s birthday party with us. Painting your own pottery is suitable for all ages and abilities and a great way to relax and be creative, or you can get us to paint for you. We offer commissions painted up to order personalised with a special message and picture for weddings, christenings, birth plates and lots more. We also offer signature plates to be taken away for keepsakes ideal for a special days or occasion. These are designed to be taken away and brought back to be glazed, fired and collected at a later date. The staff at Dotty Pottery are here to help you along your creative journey and are on hand with help and advice throughout your visit. We also offer a helping hand with hand and foot prints and can do the writing on your ceramics at no extra charge. JOURNEY TO THE CENTRE OF THE EARTH OPEN AIR THEATRE TOUR OF NORFOLK AND SUFFOLK! After last year’s sold out tour of Alice in Wonderland, Strange Fascination Theatre return with a unique retelling of the classic adventure novel, ‘Journey To The Centre Of The Earth’ by Jules Verne. Join Professor Lidenbrook as she ventures to discover the secrets of an ancient parchment that promises a great adventure beneath the planet’s surface! Gathering a band of colourful characters to join her, she’ll face danger, dinosaurs, wonder and magical creatures, will you join the journey? Suitable for children from 4 upwards, the show runs at 1 hour 20 mins with a 20 min interval. The show tours to some of East Anglia’s most stunning venues! An exciting show with puppets, songs and dinosaurs! Bring a picnic and join the journey! Mini Professors Science Classes for 2-5 year olds – from the team that brought you Baby Sensory and Toddler Sense. Summer Holiday Specials at Eaton Park are now open for booking! Our summer classes are perfect for children currently in Reception class. At Mini Professors, we are passionate about science and we make science enjoyable for your little ones. As with any language, children can easily absorb and learn from an early age. That is why we try not to dumb down scientific terminology but explain scientific principles in simple terms with fun experiments. Open FREE from Tuesday 24th July – Saturday 4th August (closed as usual Sundays and Mondays). 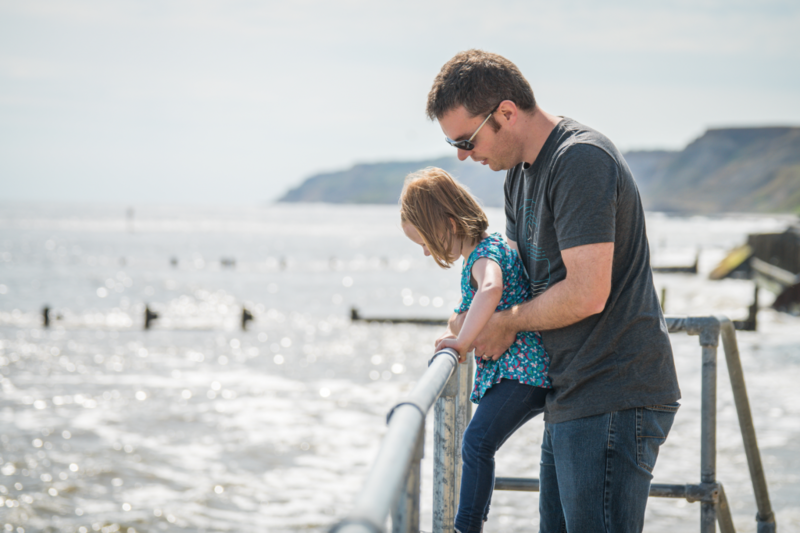 Overstrand is located next to Cromer and is such a wonderful beach that I keep coming back time and time again to capture more and more lovely families who would like a professional photoshoot with their family without the hassle of studios, lighting and awkward posing. Earlham Park really is a hidden gem when it comes to photos as there is grassland, woodland and the beautiful gardens and river to explore. Try something different this summer holiday with the children and come along to a pop up shoot and make memories you will cherish forever! ***EXCLUSIVE MUMBLER OFFER*** Price is £45 + booking fee, just use the code Mumbler10 when booking. If times do not work, then I can add more to accommodate. Role play to your heart’s content at Tots Town over the Summer. Purchase a Summer Pass and take your pick of any available on-line bookable play sessions over the summer. After purchase, your unique Summer Pass coupon code will be emailed to you within 24 hrs. The Summer Pass is available for purchase in June. Each pass is valid only for an individual child , and is not transferable, and can be used for a maximum of 1 child place per day. Use outside of these terms, or non-attendance of 3 booked sessions will result in cancellation of the pass. Wild Fridays – What will your family discover? Running every Friday throughout the summer holiday join our friendly team of volunteers and explore our special nature reserve. There’s something for everyone each week with hands on ‘Wild Challenge’ activities rotating around woodland bug hunting, pond dipping and meadow exploration. You can also get stuck into natural art and craft activities using clay, willow and natures treasures and play our wild games. This is a drop-in event – no need to book, just turn up on the day. Join us for a whole summer of activities as we celebrate a different animal each Saturday. 4 years+. A 5 day, fun filled week of dance & performing arts. Please visit our website for a more detailed description. Live Music, Actors, bouncy castles, owls, the Mad Hatter’s Tea Party, stalls, games and more! In aid of Hillside Animal Sanctuary. Take time to relax and enjoy the sounds of traditional bands in the city’s best loved parks. Join a guided bat walk and find out the truth about British bats. Using detectors you can listen out for bats, active at this time of year in Holkham Park. Please wear suitable footwear for walking in parkland and come prepared for all weathers. Tickets: Adult £6.50 Child (5-16 years incl.) £3.25. To book online click on the button, or telephone Holkham Ticket Office on 01328 713111. Booking is essential as numbers are limited. Tickets will not be available to purchase on the day of the event after 4.30pm. Please meet outside the ticket office in Holkham Park, 10 minutes before the walk begins. Please do not bring your dogs. Children may participate but need to be able to walk approximately 2 miles. Amazing SUMMER venue!! with an amazing line up! Following last summers amazing debut event and our `Out of This World` event at Epic Studios, Big Fish Little Fish returns to Chapelfield Gardens. World famous DJ`s Nookie + Trax alongside live percussionist Paul Fistfunk Crowley will be performing to the family ravers! The event will take place in a big top tent with outside space, making it the perfect summer venue. DJ`s will be playing (grown up) oldschool dance music along with confetti cannons, bubbles, giant parachute dance, themed crafts, Playdoh table, giant mural, face painting stall,fully licenced bar and more. Big Fish Little Fish have been putting on multi award winning events (Winner of Best Family Event, Family Festival Awards 2014-18, Time Out ‘101 Things to do with Kids in London) since 2013. The event has a `Circus` theme with optional (but encouraged) fancy dress. BFLF events are aimed at 0-8`s and their families but older siblings are most welcome. Adults are not admitted unless accompanied by a child. Come and join us for 1.5 hours of fun with crafts, music & dancing and a social time with refreshments. This class is suitable for children aged 1-8 years old. Don’t miss out on Cheer Camp at Brave! Cheer Camp is for athletes ages 5-17 and all abilities are welcome. We will cover EVERYTHING! Stunts, tumble, dance, jumps and even watching some routines. Athletes will be working in groups on skills they are working on or wanting to achieve! Find on FB for more information. Our first Bumps and Babies Group session was so successful that we are holding another at Chestnut Nursery School Norwich Research Park! It is an opportunity for expectant parents and those with babies to meet for a drink and a slice of cake! We have a selection of baby activity mats, treasure baskets and toys. In addition, we also have baby scales, so you can check how much your little one weighs in the comfort of this relaxed and informal group. Come and meet other parents and visit our Nursery! Between the 7th July and 31st August 2017 for every adult main meal ordered a child from your party can eat for free. For every adult in the group spending a minimum of £10 on their food order, a child eats free. Between Monday 3rd July until Monday 31st July 2017 children can eat for just £1. To enjoy the offer with your family you’ll need to head over to their website to retrieve the code – not a lot of work for a great family offer! Are you planning on doing one of the Go Go Hares trails this summer? If so, visit us to have a look at some of the rabbits and hares included in documents in the Archives Centre, before creating your own rabbit to go in our own large scale warren. Discover the rules of heraldry and consider what you would have on your own coat of arms, before using fabric paints to create your own tabard. Explore medieval daily life with artefacts from Norwich Castle, then design and furnish your own mini-Great Hall to take home. Bookings open 2nd July. Contact 01603 222599. Every Thursday throughout the school holidays, join the Holkham Education Team at the Beach Café for Eco-Crafts. It’s free and with a different theme each week, we’re sure there will be something exciting to keep the kids happy while Mum and Dad enjoy a coffee or two. Try your luck this week at the Big Top floor at Jarrold with the spectacular Nerf Target Competition. Marvel at the Playmobil Roadshow and help us decorate the circus totem pole. Fun for all ages, come and enjoy the fun at the Big Top floor at Jarrold this week as the Playmobil Roadshow is back in town. Plus get crafty with Melissa and Doug craft demos. Can you find all our circus friends and be in with a chance of winning ALL the toys in our toy windows? What can you make at the Big Top floor at Jarrold this week? From slime to Aquabeads, come and show us what you are made of! It’s Build Week at the Big Top floor at Jarrold. Try your luck at the Lego Time Trials and Magformers speed tests and discover the magnificent dinosaurs with special gifts with purchases of Top Model or Dino World. Roll up, roll up for one more week only, come and join in the fun at the Big Top floor at Jarrold as we say goodbye to the circus of the summer with fun with Crayola. Activities. Demos. Meet the Jarrold Circus Friends*. Competitions. Giveaways – and lots more! Due to popular demand, tickets are now on sale for Classic Ibiza 2018! The Urban Soul Orchestra conducted by Stephen Hussey return for another sell-out performance of classic Ibiza anthems under the stars, with live DJ and vocalists. ​​This will be Norfolk’s biggest dance party of the Summer full of iconic Ibiza anthems. A chill-out set in the first half will be followed by a half hour interval with the DJ playing the latest Ibiza tunes. ​As dusk falls, the lasers will hit the Blickling skyline as the Urban Soul Orchestra return to bring some of the best of the White Island’s dance tunes to orchestral life. It’s going to be another night to remember! To book Classic Ibiza tickets over the phone, please call 01283 841601. This Summer Holiday join us for Dispicablemess!! The minions are on the loose and they are getting very messy! All our activities are dairy and soya free. Contact 07931 657120 for more information. Keep an eye on the events page of the website at www.cromercarnival.co.uk, for the full programme of events, coming soon in 2018. In this exciting outdoor game kids have to work together, using what they know from video games, to learn outdoor survival skills and earn points along the way; foraging for resources, trading with teams, shelter building, axe work, fire lighting, skills and marshmallow treats! Look out for the woodland creature at nightfall! Dates: 8th August, 15th August, 22nd August 2018. Imagine yourself deserted on a desert island tribal style! You and your team must find the treasure, hunt for resources and claim the gold in order to survive in the wild! In this two day, real-life mini adventure you will take part in the following activities; archery skills, tribal crafts, totem knife carving, map workshop, treasure hunts, water purification and wild campfire cooking. Problem solving, challenges, team building and games for kids who love the outdoors! In this two day, real-life mini adventure you will take part in the following activities; Bug trails and traps, journalism and outdoor animation, ‘bug tucker trial’ campfire cookery and pizzas, animal tracking, scientific exploration, team games, shelter challenges, mini monster handling! Contact 01603 626741 for more information. Check out the listings for Holiday Care & Fun Clubs to keep your little ones entertained! Thatch a roof with reed and find out if it’s waterproof, dyke dip for water minibeasts, outdoor games, treasure trail, woodland art and den building, lots and lots of unusual craft activities, access to our beautiful gardens. Please see our website for more details. A really good value full day out. Decorate A4 pictures of hares with colourful pens, textiles, paper, glitter, stickers, paint and feathers. All designs will be stuck together to create a large hare collage; making a beautiful, vibrant GoGoHares art display in intu Chapelfield. Plus! Meet one of the talented GoGoHares artists, on hand to talk to families about designing and painting a hare. Join the team from the Norwich Puppet Theatre who will help families create their own crafty card hare puppets to put on a puppet show with their handmade creations. Families can compete against each other on a specially designed mini golf course; arriving at intu Chapelfield for two days only. A chance to practice putting whilst dodging some of the GoGoCreate leverets who will be hopping on to the course. The rock painting craze continues to sweep the nation! Decorate your own stone with a GoGoHares inspired design. Plus, there will be another chance to meet one of the GoGoHares artists and find out more about designing a hare sculpture. Ever dreamt of running away and joining the circus? Now’s your chance! Join the intu Chapelfield team as the centre hosts its very own circus skills workshop, inspired by the fabulous Pablo hare. Join in the family fun with stilt walking and juggling plus circus-themed craft activities too. Pablo’s artist will be on hand, chatting to intu family club members about designing and painting this stunning circus themed hare. Satisfy your sweet tooth and decorate a yummy muffin cone, making it look just like a GoGoHare. Tuck in straight away or take home to nibble at your leisure. Take part in the intu Chapelfield challenge to discover how well you know the GoGoHares. Pick up an activity sheet featuring close-up photos of tiny details of the hares. Correctly identify which hare is which to win a prize. Plus there will be another chance to get crafty and make your own hopping hare. And why not take part in a big kids versus little kids s-hopping challenge as intu Chapelfield brings the summer of Hare-tastic fun to an end! Registered Kids’ Club members please bring along your cards. Not registered? You can sign up anytime at our information desk in centre, during event days or online anytime! Join our bonkers boffins, Warp and Weft, on a voyage through deepest history. As climate catastrophe threatens a girl’s beloved tree, she learns about the fragility of life and that kindness is the key. Mayhem prevails as the fools take you on a comic journey of epic stupidity featuring top class circus skills and clowning and finishing with lashings of sploosh! Celebrating 250 years of circus. With a little touch of Magic in the Field of Miracles, Pinocchio starts his journey and quest for knowledge. Find out why his nose grows, how he gets out of his many scrapes, and if he ever turns into a real boy. With a certain Green Ogre visiting Norwich Theatre Royal, come and join the Limelight Theatre Company at their 1st summer 2-day workshop and explore musical theatre with the theme of fairy tales, swamps and green ogres. Need something to do with the little ones over the bank holiday? Come down to Little Squirrels Play Forest on the 25th of August, 11am-3pm. Come down and meet the Little Squirrels team and keep the children entertained during the holidays! Contact 01603 633550 for more information. Our first ever MummaJumble. A place to get rid of all that baby, maternity and children’s stuff that has been hanging around your house for a while. Refreshments provided by High Delights. We also have the fabulous Bop Tots joining us with their brand new ‘shake it & make it’ activity zone. To find out more or to book a table please message Mumma&More. We are open FREE to all, thanks to the support of the Norwich Freemen. Join us for family fun for free, and explore the history of our fine city. Jack and Jess wander around the old disused circus that they grew up in. The smells of greasepaint and sawdust fill the air, magically they journey back to the day when their family joined the circus. Jack and Jess have an important decision to make.. What will their circus act be? This circus story puts the audience in the centre of the big top ring by asking them to help Jack and Jess through their circus training. From learning to juggle, to experimenting with acrobatics and taming the tricky tigers; you’ll take part in this performance rather than just watching from a distance. All-In Productions and The Garage are joining forces with Norwich based, Lost in Translation Circus to create this summer’s Spectacular My First Circus: The Circus Child. Start the school holidays with a bang on a trip to the circus, like no other! Norfolk Treasure Hunts are a fun way for families to get out-and-about and explore our wonderful county. Follow the directions, solve the clues, and win epic bragging rights for completing the trail. There are several treasure hunts, of varying distances, scattered across Norfolk. Find us at the Norfolk Treasure Hunts website. Just 3 miles from Cromer, Wizard Maze & Play is situated in the Norfolk countryside close to Felbrigg Hall, between the A148 and A140. Race around on the go karts or take our tractor train ride through the Maze. Swings, slides… let your little ones get wet with sponges whilst in the stocks. A treasure trove of crafts and activities throughout the holidays – find out about The Thomas Brown Connections, travel Around the World with Robert Paston, discover the Truly Treasured, go wild with the Moving Menagerie, become a Paston Professor and so much more! Activities are included with normal admission but vary daily. Contact 01603 493625 for more information. The first of our two Family Fun Days in August is an amazing animals themed day. We’ll be having fun with crafts, storytelling, puppet shows, games, dance, drama and more, all around the Cathedral. More family fun, with the second of our Family Fun Days in August! This time the theme is ‘all the fun of the fair’. We’ll be having fun with crafts, storytelling, magic shows, games, dance, drama, balloon modelling, face painting and more, all around the Cathedral. Activities are suitable for children aged 3 and above. Babies and toddlers are very welcome too and there will be a toddler ‘chill’ area available to parents and carers. No need to book, just turn up at the Hostry to check in! Pay on the day – £3 for over 5s, adults and under 5s free. All take place in the Children’s Library. Crafts Listen to a story and then make crafts based on the book! FREE, suitable for families, no booking required. Saturday 28th July Pride Storytime 10.30am – 11am Join us for an LGBT+ storytime to celebrate Norwich Pride 2018 FREE, suitable for famiiles, collect a sticker 30 minutes before the session. Learn how to code creatively. FREE, suitable for ages 8+, booking essential – contact millennium.lib@norfolk.gov.uk, 01603 774703 or talk to staff in-library. Partnering with the National Centre for Writing, we’re hosting a creative workshop for young people, encouraging them to produce work inspired by what they’re reading. FREE, suitable for ages 11-16, booking essential – contact millennium.lib@norfolk.gov.uk, 01603 774703 or talk to staff in-library. Friday 3rd August Read to Dogs 3pm – 4pm A special session where children can read a story and enjoy the company of a Pets as Therapy dog called Peggy! FREE, suitable for ages 3+, booking essential – contact millennium.lib@norfolk.gov.uk, 01603 774703 or talk to staff in-library. Wednesday 8th August Slime Factory 5pm – 6.30pm Join us for a slime workshop where you can make your own slime to take home! Chargeable event to cover costs. £3 per child, payable on booking, non-refundable. Suitable for ages 7-14, children under 8 must be accompained, booking essential – contact millennium.lib@norfolk.gov.uk, 01603 774703 or talk to staff in-library. Wednesday 15th August Story & Craft Time: That’s Not funny! 10.30am Story 10.40am-12pm Crafts Listen to a story and then make crafts based on the book! FREE, suitable for families, no booking required. Wednesday 22nd August Comic Book Workshop 10.30am – 12pm Join us for a comic book workshop where you can create your own superhero, villain and comic strip! FREE, suitable for ages 7-14 (children under 8 must be accompainied), booking essential – contact millennium.lib@norfolk.gov.uk, 01603 774703 or talk to staff in-library. Wednesday 29th August Slime Factory 5pm – 6.30pm Join us for a slime workshop where you can make your own slime to take home! Chargeable event to cover costs. £3 per child, payable on booking, non-refundable. Suitable for ages 7-14, children under 8 must be accompained, booking essential – contact millennium.lib@norfolk.gov.uk, 01603 774703 or talk to staff in-library. Friday 31st August Read to Dogs 3pm – 4pm A special session where children can read a story and enjoy the company of a Pets as Therapy dog called Todd! FREE, suitable for ages 3+, booking essential – contact millennium.lib@norfolk.gov.uk, 01603 774703 or talk to staff in-library. Wednesday 5th September Micro:bit Mischief 10.30am – 12pm Learn how to code a micro:bit and make it tell a joke! FREE, suitable for ages 8+, booking essential – contact millennium.lib@norfolk.gov.uk, 01603 774703 or talk to staff in-library. Wednesday 12th September Summer Reading Challenge Medal Ceremony 5pm – 6pm Join us as we celebrate those who finish the Summer Reading Challenge. FREE, suitable for familes, sign up when you/your child collects the final set of SRC stickers. Contact 01603 629921 for more information. Contact01603 629921 for more information. Very few shows allow you to take the controls of a range of exotic aircraft, and fewer still allow you to witness the very best pilots in aviation flying the greatest and most famous aircraft on Earth. During the Airshow our traffic management experts ensure that yellow signs are clearly visible on the A11 to guide you the short way to the Airfield. One Life Left is a video games themed café offering food, drink, parties and events, with screen hire prices starting from just £2.50. Kids under 12 get 30 minutes free play when parent buys any hot drink. Games suitable for all ages during daytime with 18+ after 6pm. Contact 01603631114 for more information. Contact 01328 863628 for more information. Pop along to Holkham Park for some hands on, fun family activities exploring the wildlife you can find there. Fancy a dip? Have a go at pond dipping and discover what lies beneath the water in Holkham Lake. Sessions last from 10am-12pm and 1pm-3pm. Tickets: £3 per child per session, accompanying adult free. All children must be accompanied by an adult. Children aged 3 years and under are free of charge if they are accompanying an older participant. No need to book, just drop in. Car parking charge applies in Holkham Park.Sessions last from 10am-12pm and 1pm-3pm. Join us and discover the wonderful world of moths, inspect the previous night’s catch in the light trap and help with identification and recording. Excellent photographic opportunities and the chance to see some of the rarer fen species. Cost: RSPB Adult Member £5, Adults £7 RSPB Child Member £2.50, Children £3.50 Call us now on 01603 715191 or email strumpshaw@rspb.org.uk to book your place. Family Roller Skating in Norwich (City College & Drayton) and Thetford. These fun session include games, training or just the chance to skate around with friends. Parents and siblings can watch or help the children without paying. Sessions are 1.5 hours. This summer the Strumpshaw Steam Museum and Park will be once again playing host to Strumpshaw Tree Fair. From the 21st to the 22nd of July the grounds will be transformed in a nod back to the old Albion fairs of Suffolk, but with a Norfolk twist. Tickets are available on the gate and cost £10 for adults, under 16s are free and this year we’ve also added a concessionary ticket for £5 for over-65s. We look forward to seeing you all again this year. Summer’s arrived at Wroxham Barns – school holidays, family fun, good times – the perfect destination for a great day out. Plenty of free parking, no entrance fee, pay-as-you-go activities. There’s so much to see and so much to do it’s the favourite day out for everyone…. Become a Junior Farmer for the day and say hello to all the friendly animals. Don’t miss out helping bottle-feed the calves everyday 11am & 3pm. Bella and Barny will be hosting daily shows twice at 12.00 and 14.30 with music, singing, dancing and lots of fun and there’s free stencil face painting every day too at 10.30, 12.30 and 2pm & 4pm. Don’t miss the chance to see who’s the champion putter on our Championship Adventure Mini Golf Course featuring slopes, water hazards, bridges and more! Visit Betsy the GoGo Hare, part of the countywide trail of 68 beautiful individually painted Hares for Break charity! Every Saturday at 11am with activities from 10.30am. All tickets just £2. Every Thursday at 11am. FREE tea, coffee, and a croissant with your ticket. Every Tuesday at 10.30am. Toddler tickets £3, adults go FREE. A quacking event for everyone to join in with! We also have a small selection of pre-designed artist ducks – so email us to find out more. Sponsor your own little ducks – just £2 each and you coudl win a prize if your is one of the first to cross the line! This year is a special anniversary year for Break – 50 years #changingyounglives – so if you own a duck bought at one of the GNDR auctions, you could join in the fun for just £50 and re-enter your duck in the race (N.B. this duck will not go in the auction and be yours to collect after the race). – Entertainment, Archers Butchers, cakes, games and stalls on the grass behind the Ribs of Beef – all from midday. Along with all your traditional Proms favourites, the concert will celebrate some of the most iconic film scores of all time, finishing with a spectacular fireworks display. Make some unforgettable memories and connect with nature at our 3 day summer school! Learn theatre and creative arts skills while enjoying the blue sky and broad leaf canopy of Mousehold Heath. Explore story-telling, improvisation, natural puppetry, drama games, clue hunts, magical mask making and more! 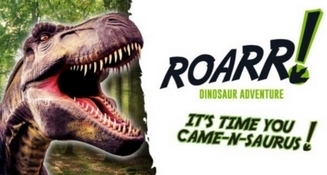 Ideal for adventurous and energetic children aged 7 – 14. To find out more or to book a place, get in touch! Call Sophie on 07584 061349, or send a message on Facebook. £3 per child entry, hot drinks included and no need to book. We regret we are not able to accommodate children over 4 years. Contact 07528 199544 for more information. Award-winning Spanish classes for young children. Inspiring them to love languages from an early age. We use songs, games and a lot of fun whilst learning another language at the same time! Why not get carried away into a magical, fairytale world? Take a steam train ride into the domain of fairies, trolls and toadstools! Every day during the Summer holidays. Normal fares apply, 4s and under go free! 01328 711630 for more information. Celebrating village life and inspiring the community; bringing something different to the North Norfolk countryside on the last weekend in July.